Location set for Deontay Wilder v Tyson Fury. WBC heavyweight champion Deontay Wilder will stage his December 1 title defence against Britain's Tyson Fury at the Staples Center in Los Angeles. The Los Angeles venue that is best known as the home of the Los Angeles Lakers and Clippers NBA teams, had been widely expected to stage the fight. The 21,000-capacity arena in downtown Los Angeles has been frequently used as a boxing venue, with fights including Oscar de la Hoya's 2000 battle with Shane Mosley and former heavyweight champion Lennox Lewis's 2003 scrap with Vitali Klitschko. 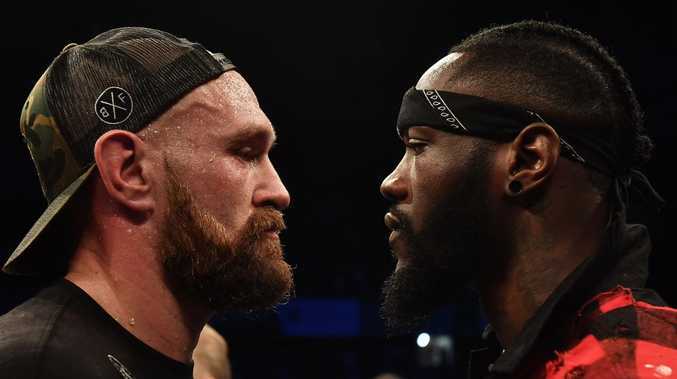 Wilder has 39 knockouts in 40 fights and has scored knockouts in each of his previous seven title defences. Fury, 30, is the former IBF, WBA, IBO and WBO heavyweight world champion. He remains undefeated in 27 fights. The outspoken British fighter made his comeback earlier this year after a near two-and-a-half year absence, and immediately set his sights on a showdown with Wilder. "I'll go to Vegas for free and fight Wilder," Fury said last month. "I'd rather have no money and win than 200 billion pounds ($261.5 billion) and lose."